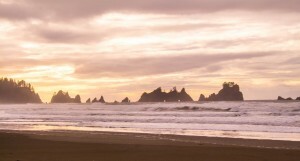 Visitors arrive from all over the world to enjoy the adventure of Shi Shi Beach. The trail consists of a great mix of rainforest hiking and beach walking. Make this an easy day hike or enjoy it as a backpacking trip with a night out on the beach. It is also possible to continue along the beach and hook up with the Ozette Loop hike or on to Hole in the Wall near La Push at Rialto Beach. There are many options but make sure you carry a tide chart with you so that you don’t get isolated by high tides at the headwalls if you plan to continue south past the Point of Arches. For information regarding the area along the beach designated as National Park please consult the website. Makah Recreation Pass is required for parking at the trail head. One pass per vehicle is required. Check the Activities page for locations for purchase. The trail through the forest to the beach is slightly undulating but has no significant gain in elevation. Expect mud, bridges and boardwalks that may be slippery. The trail is well maintained and navigation is easy. Pets are permitted along the trail but are not permitted past the National Park Boundary after 1.7 miles. Continue through town heading west along Bay View Avenue for 1 mile. Bay View Avenue becomes Cape Flattery Road if you follow the yellow lines on the pavement. The road will turn sharply left then after 0.1 miles turn sharply right once you get to the west side of the main downtown area. Follow the signs past the clinic for 0.1 miles and turn sharply left again and follow the road along the foot of Bahokus Peak. 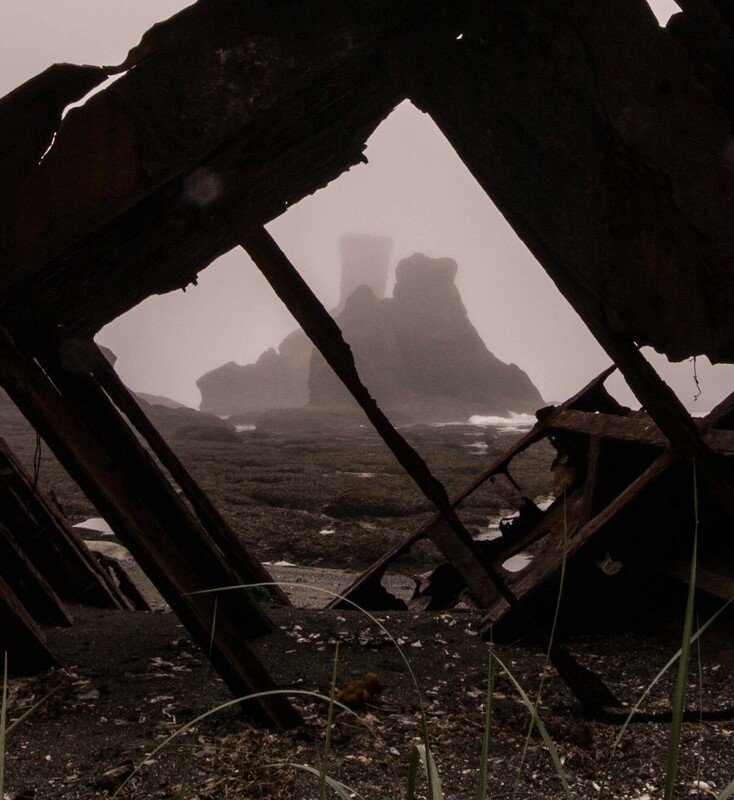 You will be on Cape Flattery Road. After 2.5 miles follow the signs and turn left on Hobuck Road across the Wa’atch River. At the first intersection after the bridge go straight and follow the signs for the Fish Hatchery. The parking area is located on the right side of the road.